Jesse Morton Clemons, age 85, of Shelton, CT. entered into rest on Saturday November 3, 2018, in Yale New Haven Hospital with his loving family by his side. He was the devoted husband of 46 years to the late Katherine Joene Cotter Clemons. 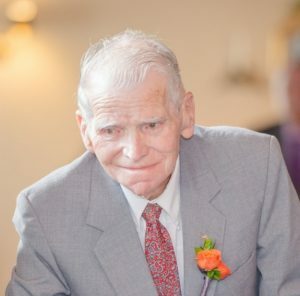 Mr. Clemons was born in Van Buren Township, MO on December 30, 1932 son of the late John Ancel and Ruby Fern Metheny Clemons, and was a resident of the Lordship Section of Stratford, CT. for many years until moving to Shelton 2 years ago with his daughter who lovingly took care of him. He was a Veteran of the US Coast Guard during the Korean War. Mr. Clemons was a design engineer for 24 years being employed at Lockheed Martin and Sikorsky Aircraft before his retirement. He was a member of American Engineering Association, American Management Association, and National Society of Professional Engineers. He was the beloved father of Lorina Kay Alterio and her companion Robert Albert, and the late Brian Douglas Clemons. He was the cherished grandfather of Michael Alterio and his wife Erica, and Mark Alterio, and also leaves many nieces and nephews He was predeceased by his 2 brothers, John Thomas Clemons and Joe William Clemons and his 2 sisters, Mary Luella Alonzo and Dora Ruth Freyermuth. Jesse’s family would like to thank VNS for their excellent care. The family of Jesse Morton Clemons will receive friends from 3:00 – 5:00 p.m., Sunday, November 11, 2018 at the Wallace Funeral Home.